With Iraqi political turmoil once more making headlines in the United States, an article in the National Journal has appeared with the headline, “Turns Out, Joe Biden Was Right about Dividing Iraq”. The article uses as its point of departure the claim made by former defence secretary Robert Gates that Biden was wrong about every single important issue in US foreign policy. It then goes on to counter this by referring to the various “plans for Iraq” that Biden propagated as an oppositionist during the days of the Bush administration, particularly between 2006 and 2008. These plans are difficult to characterize because they changed a good deal over time as Biden’s ideas developed, and as a consequence they have also been misrepresented. In their minimum version, the plans involved an internationally sponsored conference that would somehow use the framework of the Iraqi constitution to subdivide the country into federal provinces. Biden claimed he kept an open mind about the eventual number of provinces. He “guessed” it would be three (a Kurdish, a Shiite Arab and a Sunni Arab one) but he gradually became more open-minded regarding the exact number and has often been misrepresented on this. Rather, the most noteworthy characteristics of the Biden approach to federalism in Iraq was that he expected a settlement that would take place as a one-off conference of political elites, and that it would be “comprehensive”, thus subdividing the entire country in federal entities. Among the many problems with the Biden plan back then was that it usurped the provisions for federalism outlined in the Iraqi constitution adopted with US support in October 2005. The whole point of the federalism clauses in the Iraqi constitution is that development towards federal entities will be an uneven process, with different timelines for different parts of the country according to their level of economic and institutional development. It is specifically envisaged that individual provinces may prefer to continue to be ruled from Baghdad within a unitary state framework and with a degree if administrative decentralization. Biden’s plans would have violated all of this, meaning it would in practice be tantamount to rewriting the Iraqi constitution if implemented. The argument that Biden was right after all, penned by James Kitfield, doesn’t occupy itself with such trivialities as the Iraqi constitution. Instead it asks whether not the best way to stop the current violence in Iraq is “separation”, by which the writer is clearly thinking of a three-way federalization involving Kurds, Sunni Arabs and Shiite Arabs. How such an approach would achieve internal peace in the three regions is left largely unanswered. Does Kitfield really mean that if the Iraqi army hadn’t brought troublesome Shiite soldiers into Anbar, the Sunnis would have got along much better with foreign fighters and the Islamic State of Iraq and the Levant (ISIL) organization? If so, is that a positive scenario? Wouldn’t a Sunni canton that had largely cut ties to Baghdad be immeasurably more susceptible to pan-Sunni propaganda emanating from Syria? Wouldn’t Anbar security forces – on the regional guard model from Kurdistan, controlled exclusively by Sunni commanders loyal to figures in a regional authority that would have earned their positions on basis of Sunni sectarian propaganda during the process of federalization – be an easier target for ISIL cooption than the current Iraqi army, with its mix of Sunni and Shiite commanders? Also, let’s not forget that Biden’s original proposal came as an alternative to Bush’s “surge” and would have meant a US withdrawal from Iraq around 2008, at a time when Al-Qaeda was on the rise. It seems far more realistic to consider a Sunni canton in Iraq as a potential ISIL asset and a factor that might cement the ascendancy of ISIL in the Syrian opposition. It certainly seems a little reductionist to dismiss Sunnis willing to cooperate with Maliki as an “older generation”, as a former CIA officer commenting in the article seems to do. What about Anbar provincial council members that continue to work with Baghdad, or new political coalitions in the upcoming April parliament elections that feature substantial Sunni representation and are still signaling an interest in cooperating with Maliki? Still today, eight years after the Biden plan for Iraq was launched, it remains difficult to comprehend what its proponents envisage in terms of specific changes in Iraq. The notion of “a natural Sunnistan” occurs in Kitfield’s article, although history has never seen such a thing. We’re just left with the primitive assumption that Sunnis will go along better simply because they are of the same sect. If we look at developments in Iraq over the past few years historically, it is clear that before the sectarian pull of the Syria crisis became too overwhelming, there were always plenty of Sunnis prepared to deal with Maliki and put sectarian considerations in the background. Sunnis with such an orientation still exist, but their chances of political prominence decreases each time an article with a sectarian paradigm for understanding Iraqi politics of Kitfield’s calibre is published. So, it’s over, or mostly so. The visit to Iraq by US vice-president Joe Biden this week marked the symbolic end of the US-led Iraq War and the beginning of a new era in which a so-called Strategic Framework Agreement will govern US-Iraq relations. First, don’t get fooled by that impressive framework term (yes, it’s called the SFA in US government parlance). This may sound fancy, but to Iraq it means simply a normal bilateral relationship between two independent countries. Other countries may have their own SFAs with Iraq as well, formal or informal, and in the long run it’s the realities on the ground – not how US government media advisors choose to spin it – that will count. But the vice-presidential visit this week was of course mostly about spin. Basically, it was the usual Biden menu of gaffe, humour and pomposity delivered with unmistakable self-confidence and no particular regard for the facts on the ground. Biden even referred to US hospital-building in the great Iraqi city of Baku! (The Transparent White House© was courageous enough to publish the little hiccup as delivered, with a tiny sic inserted not so gently within the flowery prose of the VP). More substantially, the remarkable feature of Biden’s speeches was that he is finally beginning to talk about Iraq as a nation, instead of the compulsive references to Sunnis, Shiites and Kurds that characterised the public Iraq diplomacy of the Obama administration in 2009–2010. Instead of references to the sub-categories of Iraqis, Biden now talked about “this great nation”. Those who talk about civil war and fragmentation, according to Biden, “not only misunderstand the Iraqi politics, but they underestimate the Iraqi people”! Apparently, this time around Biden even forgot to visit his old favourite, Ammar al-Hakim of ISCI, a Shiite sectarian party that for a long time enjoyed access to most areas in Washington. Too bad it’s too late to talk like that now. Biden’s remarks come at a time when Iraq as a nation appears to be in far greater danger than back in 2006 when Biden himself prophesised disintegration and advocated controlled devolution. Biden would have realised this had he focused on qualitative instead of quantitative indicators in his speech: The number of violent incidents may be down, but Sunni-majority areas of Iraq are showing an unprecedented interest in self-rule and even separatism from what they see as a Shiite Islamist monopoly in Baghdad. When Biden says, “we were able to turn lemons into lemonade”, refers to “a political culture based on free elections and the rule of law” and even highlights “Iraq’s emerging, inclusive political culture… (as) the ultimate guarantor of stability”, he is simply making things up. It is perhaps symptomatic that Biden’s exit from Iraq – probably the last top Washington official to leave the country prior to the full withdrawal – should take place via Arbil, the Kurdish regional capital. Even though rhetorically, the Obama administration has moved away from Biden’s erstwhile predilection for sects and ethnicities, it has never backed this up consistently in its own policies. Nothing symbolises the contradiction in US policy better than the tension between a rhetorical focus on the national whole and the constant pandering to centrifugal forces: US state visits to Spain do not always include Catalonia and the Basque Country as separate ports of call, so why should Iraq – another federal country – be any different? Biden closed by saying that “oil’s the glue that’s going to hold this country together”. That’s an optimistic forecast at a time when Biden’s own Kurdish hosts are considering using oil as a weapon to dismantle Iraq as a country, and increasingly enlist US oil companies as part of their efforts. 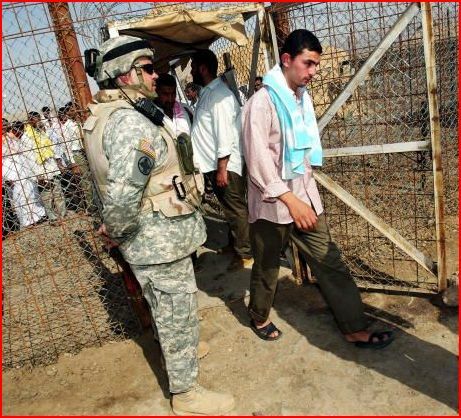 Back in 2007, Biden travelled to the Sunni-majority governorate of Anbar in search of federalists. He wanted to fill a glaring lacuna in his wonderful plan for a tripartite Iraq: Real Sunnis that were ready to forget about Baghdad and focus on local provincial politics instead. He was unable to find any takers… Full story here. The Iraqi presidency council, consisting of President Jalal Talabani, Vice-President Adel Abd al-Mahdi and Vice-President Tareq al-Hashemi, has today intervened in the de-Baathification debate in an interesting way: It expresses the view that regardless of the de-Baathification status of individual candidates, no votes shall be taken from lists. Also, in a move probably intended to highlight that demand and speed up the certification process, the council suggested that the Iraqi judicial authorities should proceed with certification of all governorates and only leave Baghdad open, where the manual recount is expected to last for another week or two. These measures are helpful in that they could serve to bring some kind of closure to the de-Baathification process, which has long ago run out of control and has become an arena for settling scores and advancing party interests. The move protects the right of the Iraqi voters, and might go some way towards focusing minds on the necessary negotiations ahead. Nonetheless, it cannot escape notice that two of the authors of today’s decision, Talabani and Abd al-Mahdi, only a few months ago supported the first revival of the de-Baathification debate, partly directly and partly indirectly through the work of people in their own electoral alliances. In this way, the rise and fall of the de-Baathification issue looks very much like a trap designed to ensnare Nuri al-Maliki, whose consolidation of power was disliked by all three members of the presidency council. And to some extent, this succeeded since Maliki eventually gave in to the temptations of using the de-Baathification card, whereas the parties that initiated the campaign are now switching to a softer tone and are making all the sounds Washington wants them to make. Of course, what the presidency council is doing here is somewhat messy in terms of its constitutionality. True, the presidency has a general task of safeguarding compliance with the constitution, but no specific powers or instruments to implement that task have been put in place except for the veto power of the presidency council. Indeed, when today’s press release calls for non-interference in the work of the Iraqi judiciary it all smacks of self-contradiction: Interference is precisely what the presidency council is up to! Nonetheless, the point can probably be made that the Iraqi electoral process long ago strayed from the legalist path, and in today’s situation any move that can serve to restore some credibility to the process should be welcome. The United States is likely to second the move by the presidency council, since it has been pointing in that direction itself. However, if the political affiliations of the men behind today’s decision also suggest the contours of a new grand alliance in the making then this may not be such great news. Masud Barzani of the Kurdistan Alliance recently used the opportunity to renew his call for a tripartite federation of “Shiites, Sunnis and Kurds”, and Adel Abd al-Mahdi’s Iraqi National Alliance is making headway with its plans to absorb some or all of the other Shiite-led alliance, State of Law. That all sounds rather like 2005. The Iraqi parliament has already gone on holiday until next Tuesday so we might as well take a look at the most recent attempt by Peter Galbraith to explain to the world exactly what he was up to with his multiple roles in Kurdistan in the period 2004–2006. Whereas his latest contribution does not really contain any significant new information, it has been circulated by the author and his friends with such fervour that a refutation should be available for the record. Galbraith’s latest version of events appears in the 14 January issue of The New York Review of Books under the headline “A Statement on My Activities in Kurdistan” – and as such cannot fail to generate expectations of a “full and final disclosure”. In that perspective, however, the piece is a rather disappointing affair. With the exception of two minor details there is no new information, just a rehash of the same old story, and the article certainly fails to effectively rebut the key point of criticism against Galbraith: That he continued to stay involved in the Iraqi constitutional process also after he acquired a business interest in the Norwegian oil company DNO and its Kurdistan operations in 2004. The only new pieces that are added to the puzzle are the fact that the Iraqi oil ministry must have known about Galbraith’s interest in DNO (since Galbraith represented the company on a joint committee), and also that the government of the United States was somehow informed. Today, Galbraith wants us to read his “Kurdistan activities” between 2004 and 2006 roughly as follows. After having been interested in the Kurdish cause during the 1990s (partly on basis of his experience with Kurdish refugees after the 1991 uprising) he in 2004 “helped Kurdistan’s leaders draft a proposal for a self-governing Kurdistan that was submitted to the Coalition Provisional Authority on February 11, 2004, for inclusion in Iraq’s interim constitution”. Since the proposal also included provisions for regional control of the oil sector, Galbraith’s next step was to help the Kurds start building their oil sector in practice on the ground. 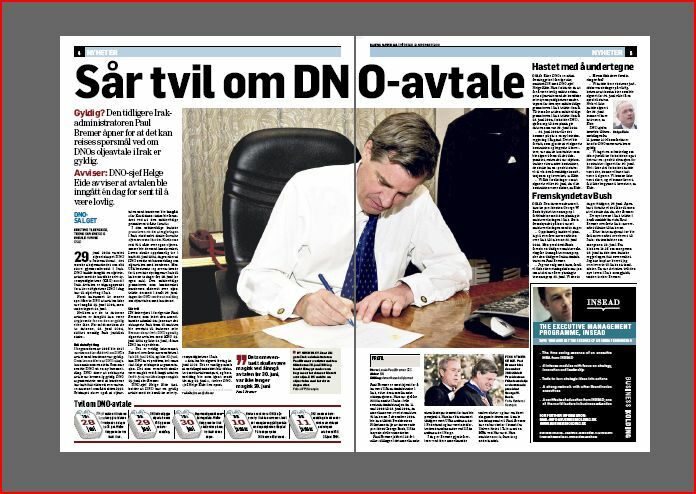 Accordingly, he “helped bring DNO, a Norwegian oil company, into Kurdistan”. 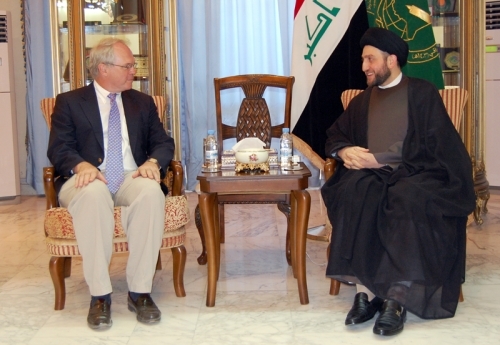 As part of this process, he was “paid by DNO and entered into a financial arrangement with the company through a Delaware partnership, Porcupine LP.” Later, in 2005, he “advised” the Kurds on their negotiations for a permanent constitution; however Galbraith stresses that their negotiating position was more or less similar to the one “they” had defined in February 2004, “and they achieved virtually all of it”. Galbraith specifically denies having “pushed through” anything during the negotiations, thereby refuting a claim made by The New York Times concerning his overall level of influence on the Iraqi constitutional process. Galbraith’s account is unsatisfactory for at least two reasons. Firstly, no matter how much he tries to dress things up by referring to the “Kurdish proposal of February 2004” there is no way he can erase what he himself wrote on this subject back in 2006, when he in considerable detail bragged about how almost every single word of that proposal had in fact been written by himself. On p. 167 of The End of Iraq, Galbraith highlighted this fact by dramatically describing the sole change to his own proposal that was introduced by the Kurds: “Kosrat Rasul, the veteran PUK peshmerga who had served as Kurdistan’s second prime minister in 1994, wanted to clarify that deployments of the Iraqi Kurdistan national guard outside the region should not only be approved by the Kurdistan national assembly but should only occur at the request of the federal government in Baghdad. His amendment underscored the Kurds’ reluctance to be involved in Iraq’s wars. With that change, the proposal was accepted.” Galbraith’s five-page proposal, that is, with the single-paragraph amendment by Rasul! In other words, every time Galbraith refers to “the Kurdish proposal of February 2004”, please substitute “the Galbraith proposal of February 2004”. This applies for example when Galbraith writes, “The Kurds…had set the agenda and they pushed through their own proposal”. It was largely Galbraith’s proposal they pushed through. Secondly, with respect to the supposedly “informal” nature of Galbraith’s involvement with the constitution after he had acquired an “interest” in DNO in June 2004 (at which point the conflict of interests obviously got more pronounced), at least three smoking guns can be found just in the open sources. The first two are again of Galbraith’s own making, and once more can be found in The End of Iraq. On p. 199 in a footnote Galbraith cannot resist revealing how he personally intervened to dissuade a British official from opening a debate about the taxation power of the central government close to the deadline for the constitutional draft. Also, on p. 171 he depicts his own role in staging a semi-official referendum on Kurdish independence on the sidelines of the January 2005 elections. The third significant reference is from his friend, Jonathan Morrow, who on p. 13 of a report entitled Iraq’s Constitutional Process II from 2005 describes how the “Kurdish parties were able to invite into the ad hoc meetings [where Kurdish and Shiite leaders designed the shape of the new constitution] experienced non-Iraqi international negotiators and constitutional lawyers, including former U.S. diplomat Peter Galbraith and University of Maryland Professor Karol Soltan, to advance the Kurdish case.” Again, what was he doing there, if he had a business interest in DNO? This truly is a “private citizen” extraordinaire, with access to all areas, and clearly so active that even open-source materials attest to his influential role. One additional aspect that strangely has yet to receive much attention in the American debate is the question of possible disinformation of the US Congress by Galbraith in ways that could advance his own “business interests”. On 11 January 2006, Galbraith, who by that time was still involved with DNO, suggested several policy measures in a testimony to the US Senate called “Acknowledge Partition and Withdraw: A Reality Based Strategy for Iraq”. Among these measures was the idea of a general US withdrawal from Iraq, with the exception of a “small over the horizon force in Kurdistan”, explained with reference to the claim that “the Kurds are among the most pro-American people in the world and would welcome a US military presence, not the least because it would help protect them from Arab Iraqis who resent their close cooperation with the US during the 2003 War and thereafter.” Coincidentally, of course, that small American military force would also protect Galbraith’s “business interests” and the Tawke oilfield to which these interests relate. But Galbraith did not tell Congress that, did he? Additionally, many of the conjectures by Galbraith in his congressional testimony are inaccurate or misleading. For example, the idea that other Iraqis would embark on some kind of systematic revenge operation to physically attack the Kurds for their cooperation with the Americans since 2003 seems a little exaggerated. (By 2006, vast number of non-Kurdish Iraqis had done exactly the same thing in terms of cooperation.) Galbraith also vastly overplays Shiite interest in federalism when he asserts that “Iraq’s Council of Representatives has already passed a law paving the way to the formation of a Shiite ‘super-region’ in fifteen months” and later goes on to talk about “a Shiite Region likely on its way”. In fact, three years later, few Iraqi Shiites seem to have any interest in a Shiite region whatsoever (even Ammar al-Hakim has left the specific idea of a nine-governorate “Shiite” region and now talks about federal regions more generally). Also, Galbraith failed to mention that the law to which he referred in fact enables several thousand other, non-sectarian scenarios of Iraqi governorates combining into federal regions (yes, that’s right, thousands, new regions can be everything from a single governorate to 14 governorates coming together and need not be territorially contiguous, so the reservoir of possible combinations of those existing governorates that are allowed to form multi-governorate regions, i.e. excepting Baghdad, is truly mind-boggling). The big issue, of course, is that he did not mention Porcupine and DNO! But to Galbraith that distinction between a consultancy firm and an oil company appears to be unimportant, and he offers the reference to the Windham Resources Group in the hope that this may mollify NYRB readers after his failure to disclose inconvenient truths about Norwegian oil companies and multi-million stakes in the Kurdistan oil industry. As with so many other aspects of his “activities in Kurdistan”, Galbraith is either unable or unwilling to see the bigger picture and the strong and problematic linkages between his private-citizen “business interests” on the one hand and the Iraqi constitutional process and US policy debate on the other.